So many times have I received mails that ask about issues that I have faced with BE. By agreeing to get some work done for a friend on the basis of an oral agreement. And then they refused to pay. Let go of the friend thereafter. Two Malayalam linguists - A and A who showed us that sometimes its better to not trust the work of linguists on face value and always, always double check quality of work and references. Linguists in India have a basic issue. Of not respecting deadlines. I have almost always faced that. Closer to the deadline - the hard disk will fail. Computers will crash. Accidents will happen. Transformers will burst. And an uncle will die. Even worse they will never take phone calls. This was a very early lesson we learned and the basic reason why we chose to work with native speakers of all the foreign languages that we work in. As for Indian languages, I eventually go to know lyricists who agreed to translate for me. Thank God for them. But yes, we did slip in the case of A & A. And decided never to work with them anymore. In other cases, I have met people who considered themselves our competition that they took things so seriously which gave me a crash course on how unethical business 'veterans' are. The things they do. The things that get done. We decided we'd rather not work with clients who don't respect values or ethics. In the bargain, we might have let go of some great names on our dossier, but I'd rather let our company be a reflection of who I am in ethics and values than be an also ran. I learn something every time. But more than anything else, a few years down the line, Blue Elephant will be known for values, ethics and the translated words that have gone out from our office to all over the world, helping businesses that work with us, to reach their goals and effectively communicate to the people they want to speak to. The third point is not just with Linguists. The case is same with any professional (ironical as they don't emanate any professionalism). Indians in general do not respect deadlines. Deadlines are meant to be broken and pushed further. We don't understand the concept of deadline as we are groomed that way. A very pathetic place to be in. leave it and move forward!! Truly applaud your stance on to live by ethics and values. These principles will certainly yield all accreditation in the future which will make you feel good. 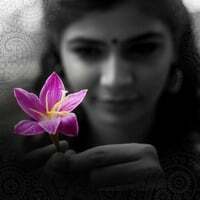 All the very best Chinmayi. Loved this blog entry!! I am sure BlueElephant will hold its strong position in the translation world. May its wings spread far and wide. All the issues you have put in the blog are very common issues with any company...as a s/w professional i have seen many such cases.....but when i grew in my career i understood what exactly management means...there are few management courses and quality guidelines that you can get exposed to...you will be the benefactor nevertheless..